The new book by Salvatore Gaspa “Textiles in the Neo-Assyrian Empire. A Study of Terminology” (Studies in Ancient Near Eastern Records 19), Boston-Berlin: De Gruyter 2018, Pp. 443, 22 figs., 4 tables, ISBN 978-1-5015-1074-8, presents for the first time a systematic and interdisciplinary study on production and consumption of textiles in the Neo-Assyrian Empire and, more importantly, collects and discusses the lexicon of textiles (fibres, manufacturing processes, professions, tools, decorations and finished products) from the entire documentation of the Neo-Assyrian archives. 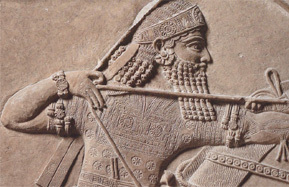 The study is completed by an analysis of the administrative management of textile production and distribution by the Assyrian State and of the role played by these products in economy, palatine culture, cultic and military activities of the first empire of the ancient world. The book also includes a new edition of some administrative documents dealing with textiles kept at the British Museum. 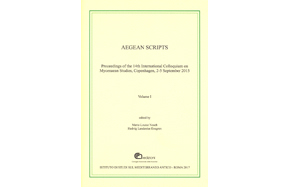 The book contains the Proceedings of the 14th International Colloquium on Mycenaean Studies, held in Copenhagen from 2 to 5 September 2015. The authors of the 44 contributions are among the major specialists in Aegean and Cypriot texts of the 2nd and 1st millennia BC. 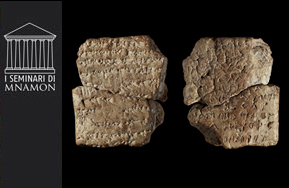 The book is divided into two volumes and five sections: 1) Scripts, Palaeography and Research Tools, 2) Interpretations and Contexts, 3) Philology and Linguistics, 4) Comparative Studies between the Aegean, the Levant and the Ancient Near East, and 5) Historiography. 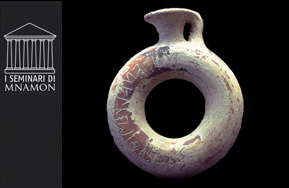 The publication has been funded by the Lillian and Dan Fink Foundation, the Carlsberg Foundation, the Danish National Research Foundation, the Institute for Aegean Prehistory, the R. K. Rasks Legat Foundation and the University of Copenhagen. The book, edited by M.-L. Nosch and H. Landenius Enegren, has been published by the Institute for the Study on Ancient Mediterranean of the Italian National Research Council in the Incunabula Graeca series, directed by M. Bettelli e M. Del Freo. 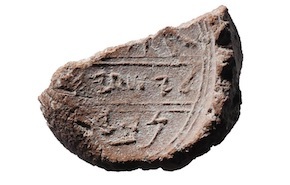 Governor of the City's seal impression (7th-6th century BCE) unearthed for the first time in situ in Jerusalem. 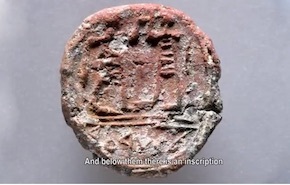 The "governor of the city" is mentioned twice in the Hebrew Bible (2 Kings 23:7; 2 Chronicles 34:8).